Lycien, Adam's Elf Sorcerer from Jeff's Elementia Campaign. A recently escaped slave, and one of the few elves capable of using the magic, Lycien joined Cyrano De Bergerac, after rescuing him from some guards at the Witcher's Tale Tavern. As powerful a magic user as he may be, Lycien has a dark secret: his crippling addiction to elementia crystals, the source of his power. 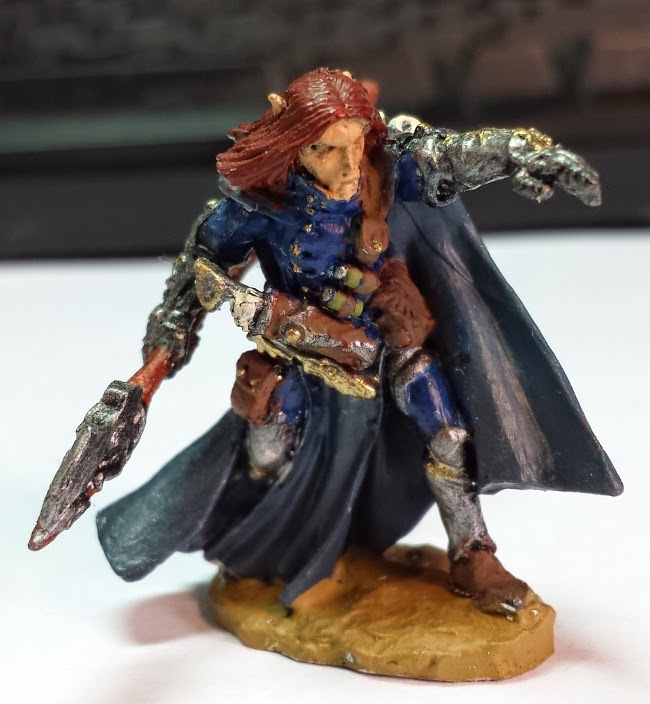 This was the first miniature that JADE guest Adam ever painted! It looks great!